Have your pup join in all day play while they stay! 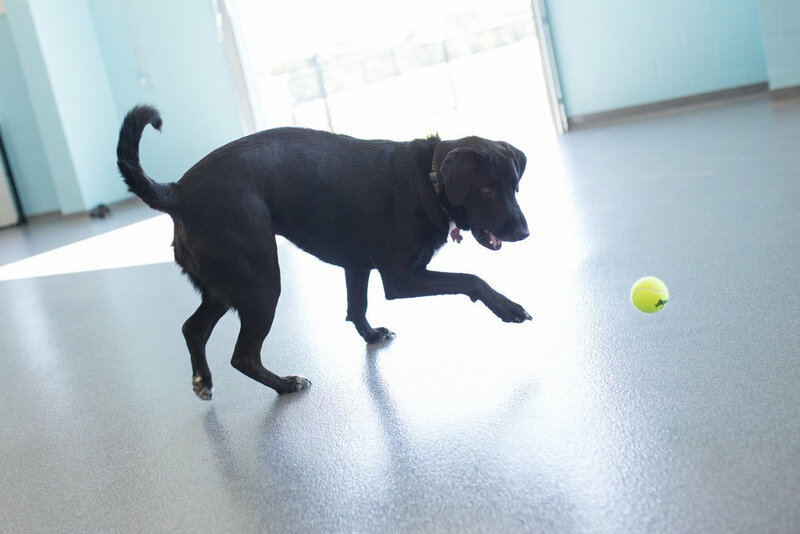 Monday - Friday, they can participate in our Canine Playschool for maximum fun and exercise! Sign your pet up to make new friends and get exercise during their stay! Offered for one hour in the morning and one hour in the afternoon. Five minute one-on-one time with a loving staff member playing fetch with tennis ball or favorite toy. We provide tennis balls but feel free to bring your pet's favorite toy. Just make sure it is clearly marked with your pet's first/last name. Five minute one-on-one time with a loving staff member snuggling and cuddling with your pet in the comfort of their bed. Treat your pet to a Kong filled with peanut butter for an extra snack and a toy to enjoy. Clean, cozy bedding will be provided for every guest, however, if you would like to upgrade we have orthopedic beds available. 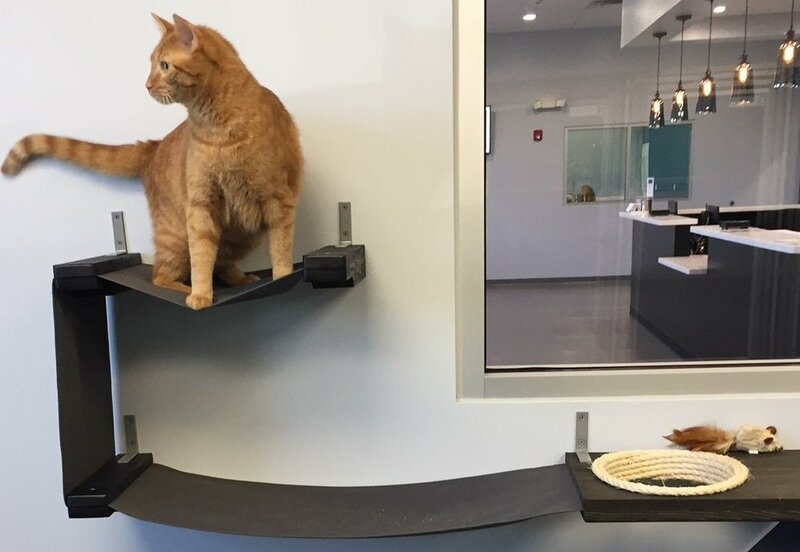 During this hour they can scratch, climb or sun bathe on our several cat play equipment options. A fun filled toy stuffed with fresh cat nip for hours of kitty enjoyment. 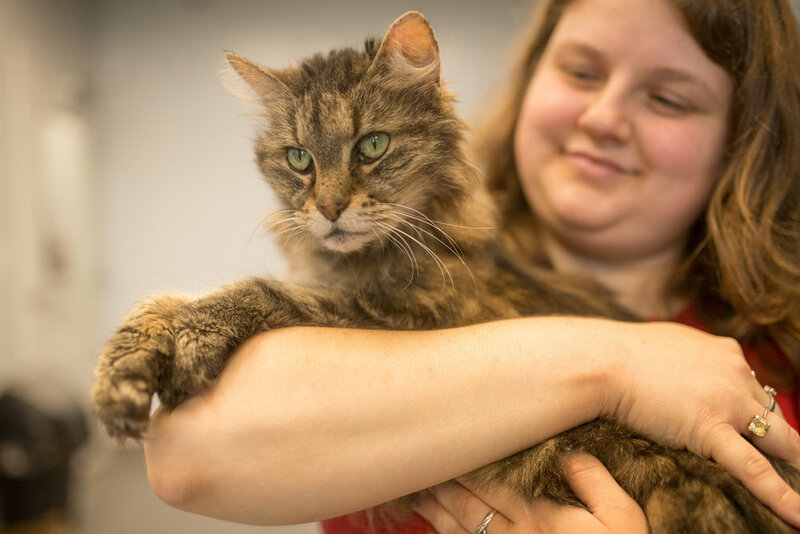 Ten minute one-on-one time with a loving staff member snuggling and cuddling with your cat.